We are located just 1.5km from the heart of Hastings City on the Napier to Hastings Coastal Road in the heart of Hawke's Bay Wine Country - an area renowned for its wineries, restaurants, orchards and boutique food producers. Just a few minutes walk from your accommodation will take you to one of several parks, Splash Planet, or the Hastings downtown business centre with its Spanish Mission-themed architecture and a wide range of restaurants, cafés and bars for you to choose from. A short drive from the motel will take you to Cape Kidnappers (a world-famous mainland gannet colony), or Napier - the Art Deco capital of New Zealand. 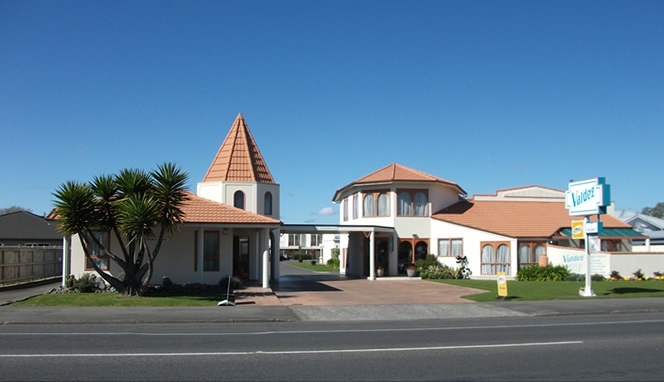 With Hastings on your doorstep and Napier City only minutes away, the Valdez Motor Lodge is ideal as a business base, or a centre from which you and your family can explore all the attractions this area has to offer.